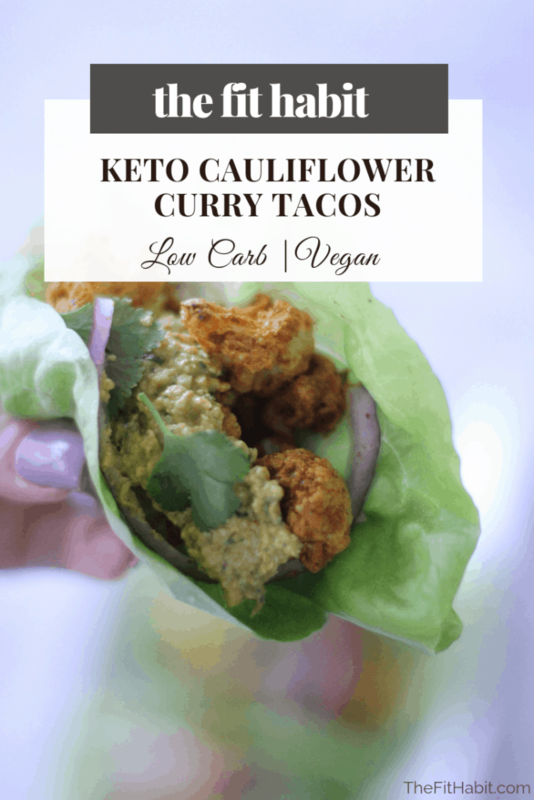 Want a simple and quick way to enjoy keto tacos? 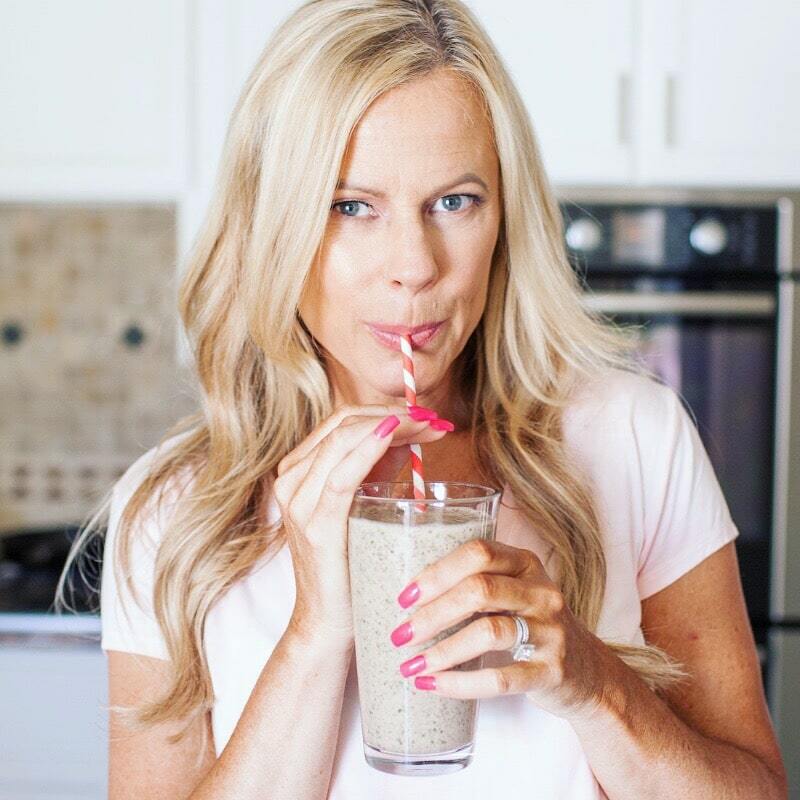 This easy-to-make recipe is perfect for lower carbs eaters who have a goal to lose weight. It’s also keto, but it’s also lower in calories which is what you want to aim for to see results. The paste is made with cashews which are little cancer and heart disease fighting nuts and they’re packed with fiber and magnesium. Oh, and did I mention they were simple to make? I’ve been so obsessed with cauliflower rice, that I’ve neglected doing anything else with it. Cauliflower is ideal for roasting in bite-sized pieces, especially in bulk for meal prep. So if you’re going to tackle this recipe (and trust me, it’s more of an assembly than a “cooking” adventure) then heed my advice and roast more than one head. You can use a head of cauliflower for this recipe, then save the rest as a mid-week side dish or toss it in your salads. The paste portion of this recipe is what really deepens the flavor and gives the tacos some juicy texture. Otherwise, it’s just veggies on veggies, which always tastes like something’s missing. It’s like salad without the dressing or baby carrots without the hummus. Veggies are best when they’re paired with a tasty sauce or dip. Speaking of sauce, that’s what the curry paste was originally supposed to be – something to drizzle over the tacos. But given that I’m serving these tacos in lettuce cups, it’s better off as a paste. It has a bit more texture and I don’t know about you, but I hate anything running out of the other end of my taco when I bite into it. It’s just annoying. I used butter lettuce cups because I wanted the dish to look pretty for the pictures (<- you’re welcome). 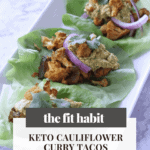 However, these would be just as good in romaine lettuce leaves or in a low carb tortilla. Actually, who am I kidding? Of course they’d taste better in a tortilla. You should do that. Just know, the keto police won’t like it much. 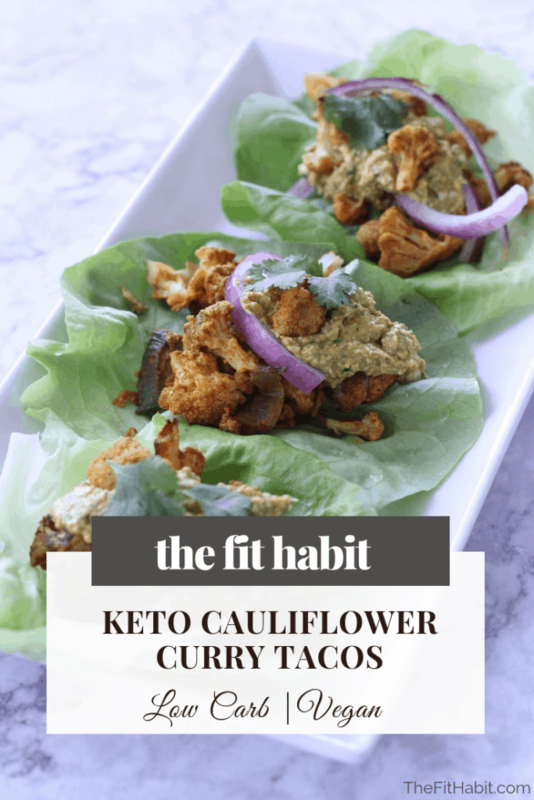 Want more keto-friendly recipes that aren’t gross? Try these! 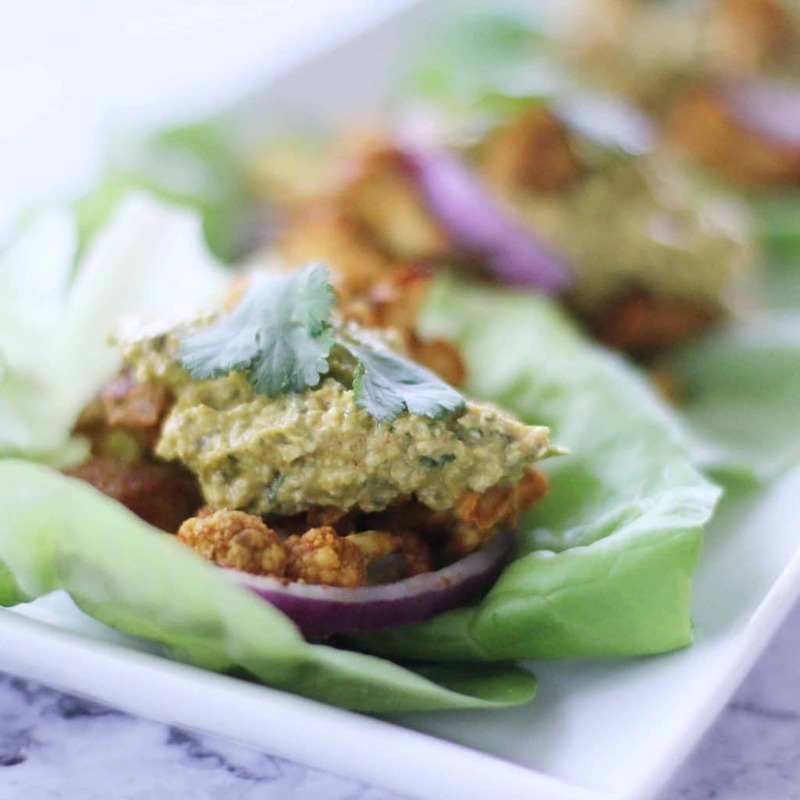 A quick, easy and delicious way to enjoy tacos with a twist of Indian flavors. So good! Wash and chop the cauliflower into small, bite-sized pieces. Chop onion into bite-sized pieces. In a large bowl, combine the coconut milk, curry powder, paprika and salt. Mix well, then add the cauliflower and onion and toss until fully covered. Place on a lined cookie sheet and bake for about 30 mins or until cooked to desired texture. Meanwhile, in a food processor, add the taco sauce ingredients (except the water) and blend well. Add water in small batches until you reach your desired consistency. I went for a paste, but if you add more water, you’ll get more of a sauce. Remove the roasted cauliflower when cooked and let cool. Wash the butter lettuce, dry and lay flat. Add the cauliflower/onion mixture to the lettuce cups, then top with the cashew sauce.